Lock in a great price for Seaflower Bungalows – rated 8.6 by recent guests! The staff really went out of their way to make sure that everyone was comfortable and had a good experience on their holiday. I couldn't have felt more welcome. Food was excellent, rooms were great, and it was so nice to have both a pool and beach option. I will definitely be back. Thanks for the great stay! Lovely new large bungelow. Great beach bar. Wide choice on menu and reasonably priced. Staff very helpful and friendly. The property was good. The rooms were clean. We stayed in the rooms by the pool and they seemed very new. Our first room didn’t have hot water working but the management was extremely accommodating and after they couldn’t get someone out to fix it, we were able to change rooms. They gave us towels and beach towels and water each day. They also had free pickup at the ferry which was super cool. They also helped us book taxis to the full moon party and helped us figure out the ferry/bus to the airport. The food at the restaurant was convenient but just ok. It was better to walk five minutes down the road to the restaurants nearby. And they had kayaks and standup paddles which was also very convenient although you have to pay for them by the hour. The beach was right there which was great to relax. 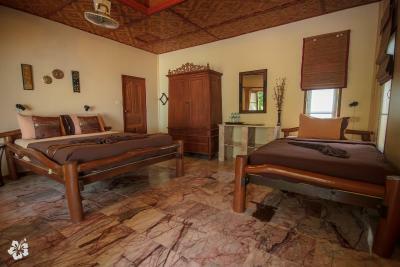 Great bungalows right on the beach with all the right amenities. 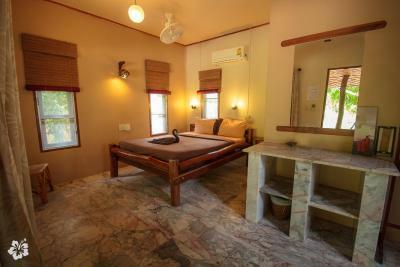 The food is extraordinary, the Bungalows are cozy and clean and the owner and staff makes you feeling very special. They make my stay very comfortable and welcoming. There is everything for a perfect holiday. Nice and clean beach with sunbeds, yummie cocktails at the heaven bar, and the best thing are the lovely people you meet at this place. Thanks Liz, Manelle and Pascal for making my stay so wonderful. 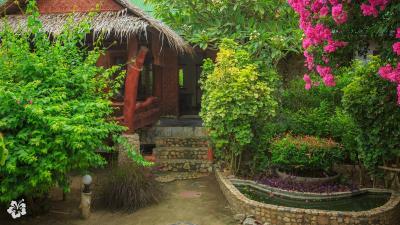 My boyfriend and I fell in love with the Seaflower Bungalows. We intended to stay there for 2 nights. We extended our stay being 6 nights in the end because of the lovely area, the very good food of the restaurant, the great atmosphere and the relaxed beach front that they have. You can meet nice people if you like but also can enjoy your privacy if that's what your seeking. 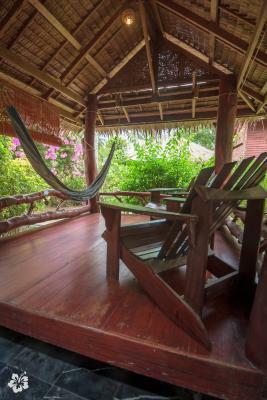 The bungalows are simple but have all you need uncluding a hammock. We were picked up from the pier after arriving without extra costs (they only charge taxi fees when leaving). The beach is lovely and quiet (at least in November) which was exactly what we wanted. It is more a yoga than party area. They offer to rent snorkel gear, canoes and SUPs. Sunbeds are also provided. Also, each bungalow has a book. You can pay your bill (bungalow, restaurant, bar) at whatever time you like (very trustworthy of them). I can totally recommend to stay there as we had a lovely relaxing time. 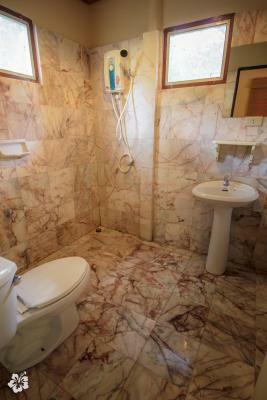 This property is in a great location on a beautiful beach. The staff and owners were very welcoming and helpful. 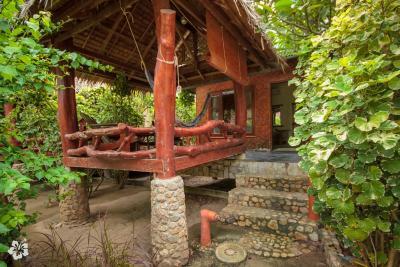 The bungalows are rustic yet accommodating with air con. Our air con broke the last night and the hotel offered a discount or new room since it was too late in the evening to fix...very accomodating! Owner and staff were great. The property is beautiful. 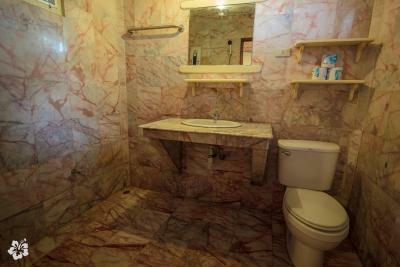 Large room and bathroom. Bed is large and decent comfort. 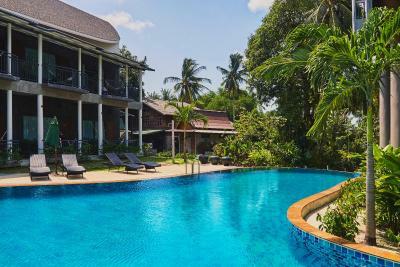 The room had a slight smell (not unusual for SE Asia), but I would go back..
Seaflower Bungalows This rating is a reflection of how the property compares to the industry standard when it comes to price, facilities and services available. It's based on a self-evaluation by the property. Use this rating to help choose your stay! One of our best sellers in Srithanu! 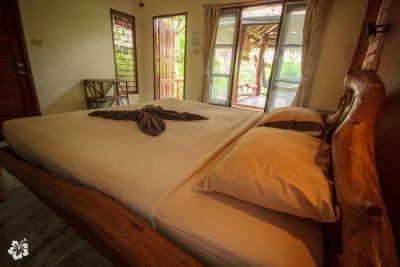 Seaflower Bungalows is located at Had Chao Pao Beach, the northwest coast of Koh Phangan. 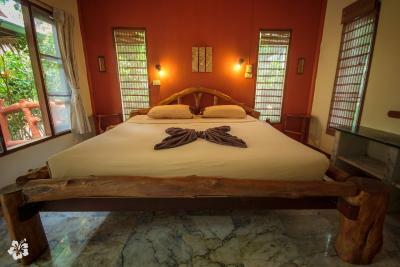 The property offers cozy rooms with free WiFi and access to an infinity pool, surrounded by gardens. 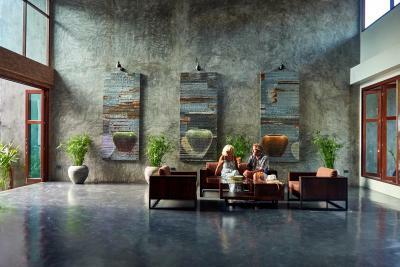 Guests can request a pick up service from Thong Sala pier to residence for 150 baht/person. 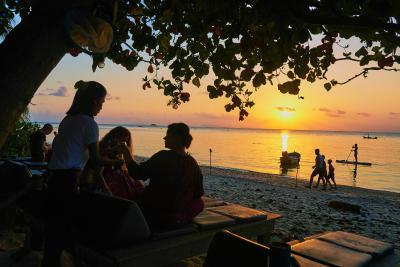 Thong Sala Pier is a 15-minute drive from Seaflower Bungalows. 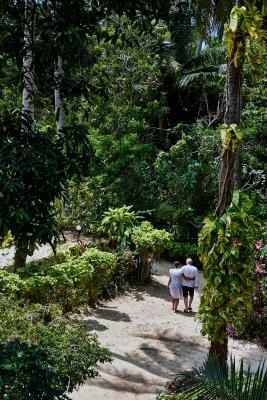 Famous snorkeling spots are just a 5-minute walk from the property. 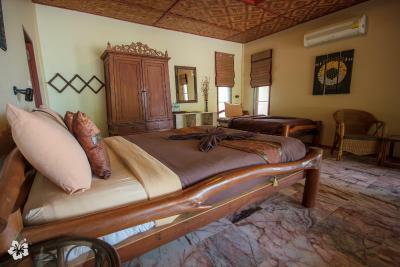 All rooms come with air conditioning and a fan. 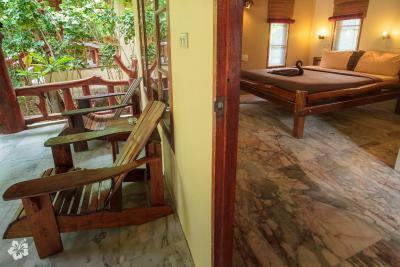 The room comes with an private bathroom and a private balcony and a hammock. There are a tour desk and boat/bus ticketing service to help guests with travel arrangements. 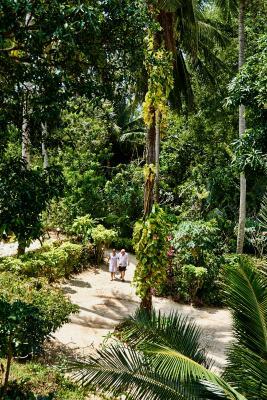 Guests can also enjoy activities such as kayaking, volleyball, stand up paddle surfing and snorkeling. A book exchange/library is available as well. 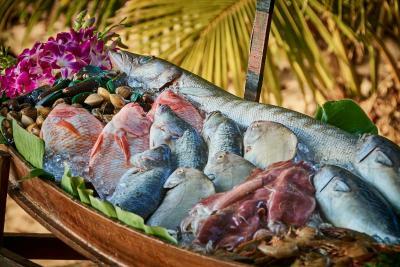 Seaflower's Restaurant features a wide selection of Thai and Western cuisine. 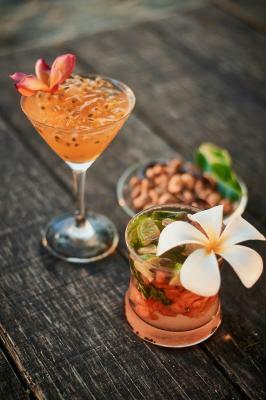 Guests can also enjoy cocktails and seafood barbecue everynight on the beach at Seaflower's Heaven Bar while watching the sunset. 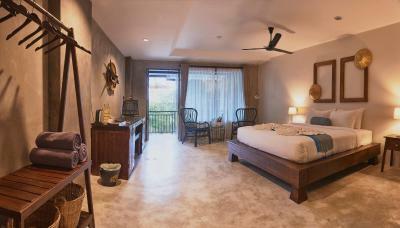 When would you like to stay at Seaflower Bungalows? 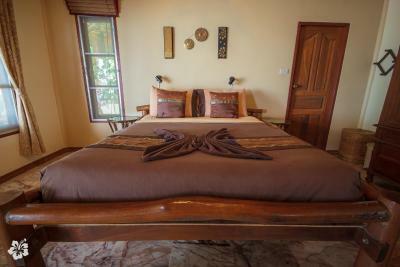 Comfortably designed bungalow features air conditioning and an private bathroom. 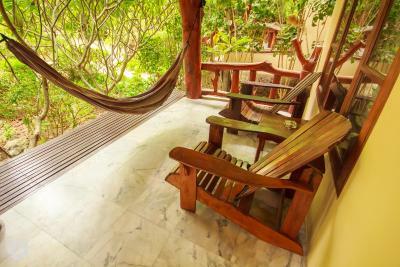 It also comes with a large private balcony and a hammock. 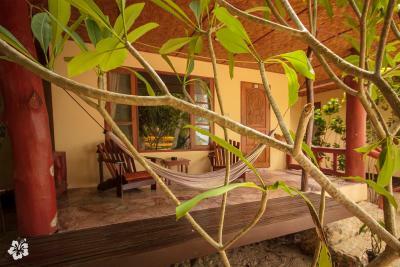 Cottage offers air conditioning, an private bathroom and a private balcony with a hammock. 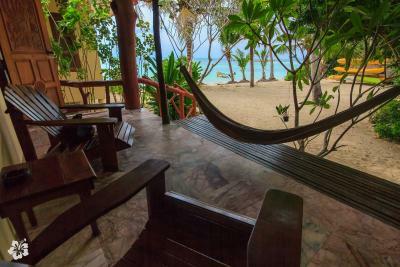 Bungalow offers air conditioning,an private bathroom and a private balcony with a hammock. 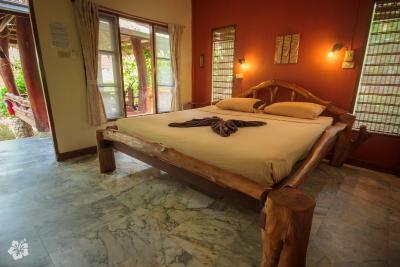 Offering air conditioning, bungalow features a private balcony and an private bathroom. 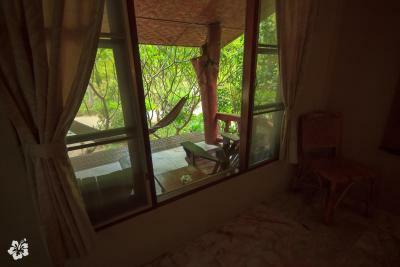 There is a hammock available at the balcony as well. House Rules Seaflower Bungalows takes special requests – add in the next step! 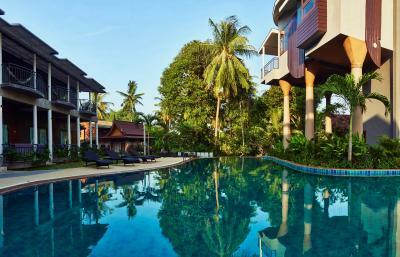 Please note that guests who require the taxi pick up service from Thong Sala Pier to Seaflower Bungalows must inform the property 24 hours before. Please provide the name of the boat company and the expected arrival time. 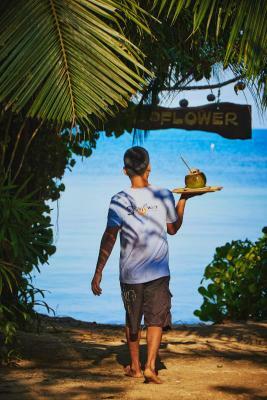 Please inform Seaflower Bungalows of your expected arrival time in advance. You can use the Special Requests box when booking, or contact the property directly using the contact details in your confirmation. The bungalow was pretty clean, cozy, comfortable. The mattress was also great. Really beautiful beach in front of the hotel. Cozy wonderful place to stay! Loungers on the beach can sometimes be hogged all day long by loud non-hotel guests, these islands semi-permanent western residents know that's there's little control they just have a drink at the bar (or not even ) and overstay their welcome without any staff saying anything. Even took over our loungers while we went up for a bite at the restaurant. Doesn't seem fair as the spots are limited. Quite a lot of mosquitos in the area, a mosquito net in the room would be great. 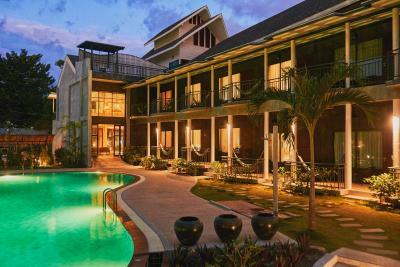 Perfect location if you are looking for a relaxing holiday spot. Not a party place ( most bars around are laid back and closing around 10 or midnight). 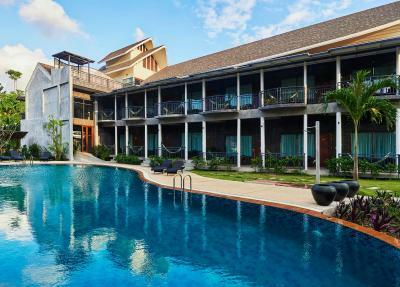 The hotel is right on the most amazing beach and next to all commodities ( massage salons, 7 eleven, fresh fruit vendors, Thai food small cheap and cheerful places, even an organic cafe if you are craving a good western breakfast) . 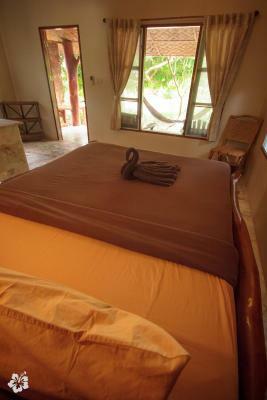 The room was very big and comfortable with a large bath tub and rain shower. The staff worked very hard to make sure we had a great stay. The pool was really clean and big with plenty of loungers to accommodate everyone. The bar and restaurant and surrounded by gorgeous gardens adding to the beach atmosphere. 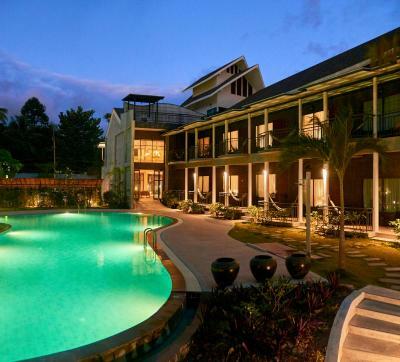 Highly recommend if you are looking for a tranquil/ easy going hotel. However, the twin girls were welcoming, friendly and very helpful, However, we found the lady owner to be unfriendly, to the point of rudeness. When inquiring about an airport delay, she seemed more interested in charging us for the phone calls than trying to help us sort the problem out ! She made the last few days of our stay uncomfortable. We felt she was constantly looking us over to make sure we didn’t steel any towels etc And after 6 days stay, though she was in reception, whilst our final bill was paid, we did not receive a smile or a thank you or a goodbye ! We won’t be staying there again Shame really as it was a smashing hotel!! 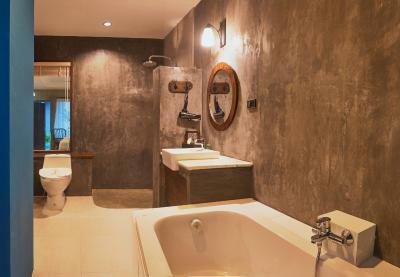 The rooms were very comfortable and stylish, made in polished concrete. The pool was fantastic and had the sun most of the day. The twins were delightful! I really loved everything about it. 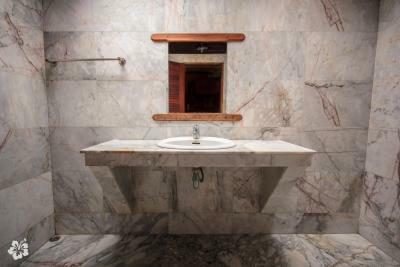 I loved the decor and the attention to detail. The staff were so lovely and the whole pace ran really smoothly and efficiently. The restaurant and beach bar which also served food, were so good with a great variation from nearby salads to Thai food and I really loved having the beach bbq one night. 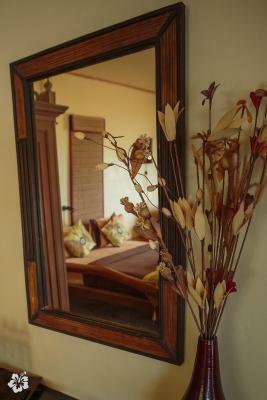 I stayed here alone and had the most comfortable and nourishing time. The location was perfect for Srithanu village and all the beaches. There is a scooter hire place right across the road and a laundry place. I didn’t want to leave. Superb staff. Great location. Best room and service i’ve had on the island. Would definitely return. A lot of choice of good food, for good prices in their own restaurant and bar. 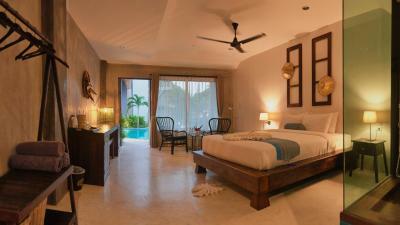 Very beautiful room and balcony. Even your own hammock. They cleaned it every day very well. The staff was very helpfull and kind too. It's pretty much right on the beach (their bar even was). Everything was so perfect! 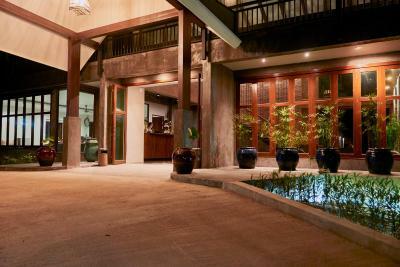 The staff is adorable, the swimming pool really nice, the kitchen is really really good, the room is big and very clean! And what a view from the beach! Enjoy it with a cocktail from heaven bar :) We will definitely come back! It would be good if the hotel partnered with a bike rental so you don’t have to give your passport to rent a bike from a third party. 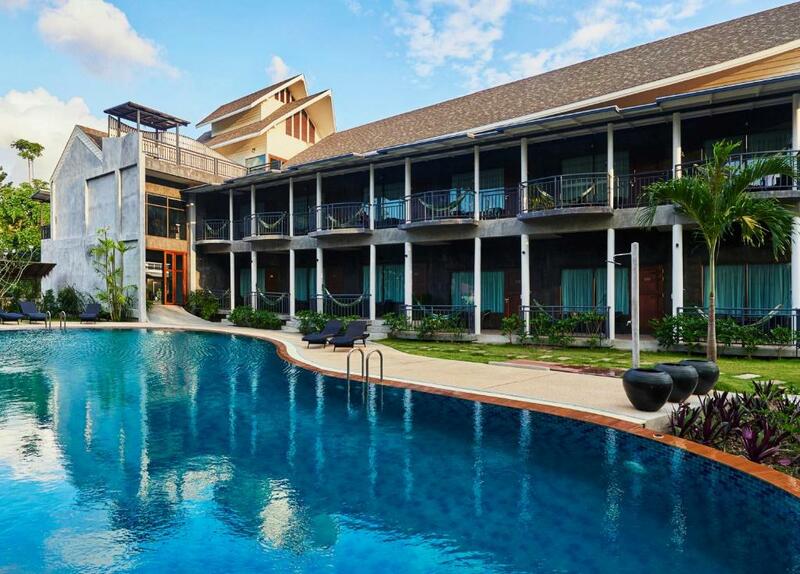 Amazing decor, pool and beach at the hotel. Very friendly staff and helpful.